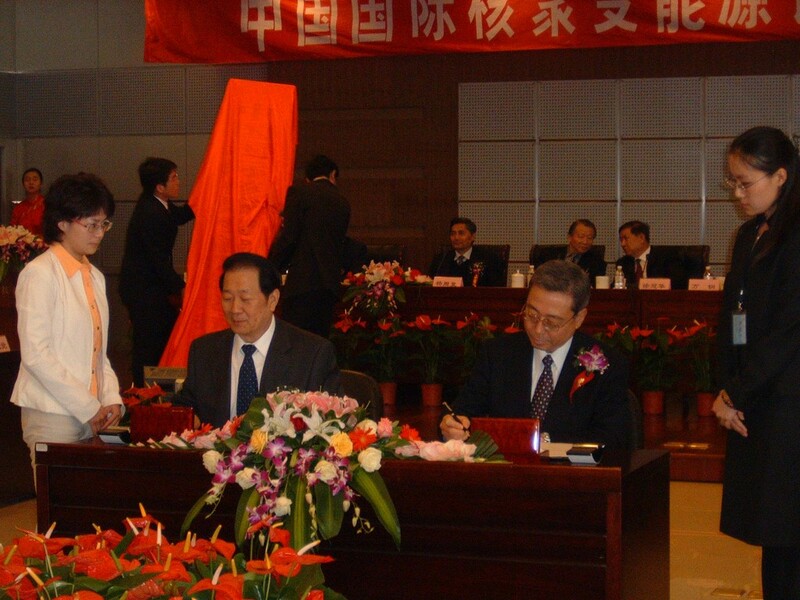 On 10 October 2008, an impressive official establishment ceremony of the Chinese Domestic Agency, formally named China International Nuclear Fusion Energy Program Execution Center, was held in the Ministry of Science & Technology of China (MOST) in Beijing, China. 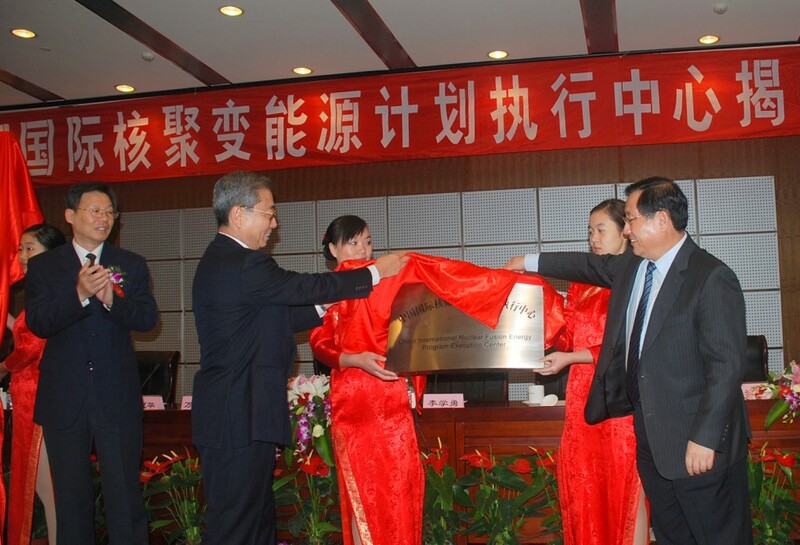 Vice Minister Lee, Former Minister Xu and Director-General Ikeda unveil the Chinese version of the center's plaque. More than 100 representatives participated in the ceremony, including high-ranking officials from the National People's Congress, the Ministry of Foreign Affairs, the State Development and Reform Commission, the Ministry of Education, the Ministry of Finance, the Chinese Academy of Sciences, the Chinese Academy of Engineering, other Government Agencies, the ITER Organization, the diplomats of the Members' Embassies in Beijing, and other representatives from research institutes and industries. In his speech, Minister Gang Wan stated that participation in ITER was a very important decision China made in order to promote the sustainable development of energy in the future. The establishment of the Execution Center (the Chinese Domestic Agency) not only stated China's active and responsible attitude toward participation in ITER, but also demonstrated the full support of the Chinese government for the development of the ITER Project. The Center would play a full role as the Domestic Agency for the ITER Project while at the same time managing and fostering the development of the Chinese domestic fusion energy program. In his remarks, the ITER Director-General Kaname Ikeda acknowledged the great efforts of the Chinese government, represented by the Ministry of Science & Technology of China, MOST, for its important contribution to the negotiations and the ratification of ITER Agreements and, of course, the formal establishment today of the new Domestic Agency. He pointed out that ITER needs China. "ITER needs the outstanding knowledge and ability of the Chinese fusion scientists. ITER needs the wider contribution of China's outstanding scientific community and of course the support of the vast high-technology industry base that flourishes in your country." The plaque of the Center in English was jointly unveiled by Minister Wan and Director-General Ikeda while Vice Minister Li and former Minister Xu took care of the Chinese version. After the unveiling ceremony, Director-General Ikeda and Jinpei Cheng, the Head of the new Domestic Agency, signed the first of three Procurement Arrangements for the ITER poloidal field conductors (see photo at upper left).